Put Your Best Game Face On! Just as your face and most particularly, your smile are what contribute significantly to a first impression, so is it the facade of your house and specifically the front garden that informs the world about who the residents are. 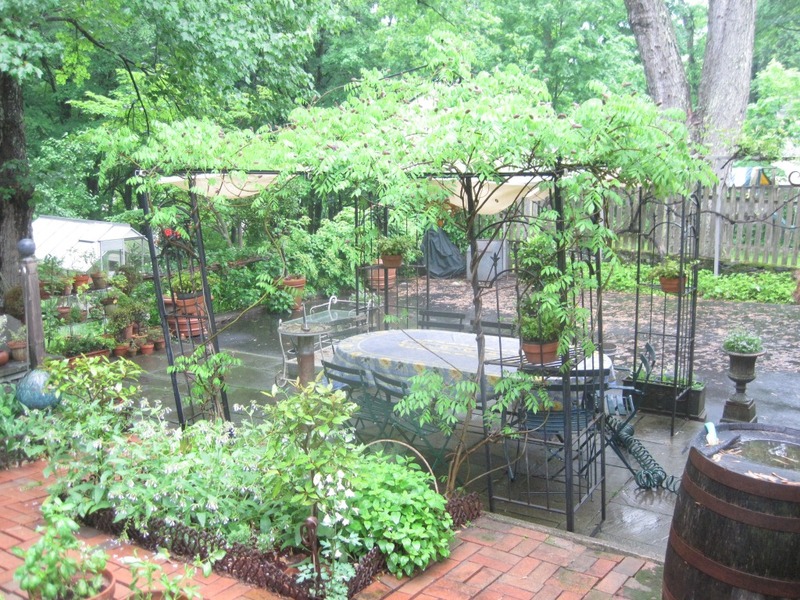 When reviewing this part of your property, ask yourself if it conveys the right message. If it is, then that must be enormously satisfying I’m sure. If not, how can it be improved? A little tweaking or a complete face-lift? Of course, if you couldn’t care less about the front garden, then stop reading! Because I’m going to discuss exactly that. But wait just a second! Are you saying you don’t even bother to keep this area neat, tidy and presentable? You do, right? Then, ha! You care. Read on. Man or woman, everybody pays attention to how their face looks (and we also pay close attention to other people’s faces). Some more than others. It all depends on how much time and effort one is willing to expend. Putting it another way, it depends on how important it is to you. Chances are you will be similarly disposed to how you address your front garden. And that is A-okay. The main thing is to have your face or front garden reflect the best you. Just as those of us who cannot stand to wear too much make up and feel uncomfortable if we do, a fussy, high maintenance garden ( yes, such a thing exists) will look incongruous. So lets consider the front of your property. Get outside onto the street, face the house and take a hard look at what you see. Assess it honestly. Chances are there is room for improvement. Note down everything you think can be done. Make the list in order of priority or urgency. Think simple. 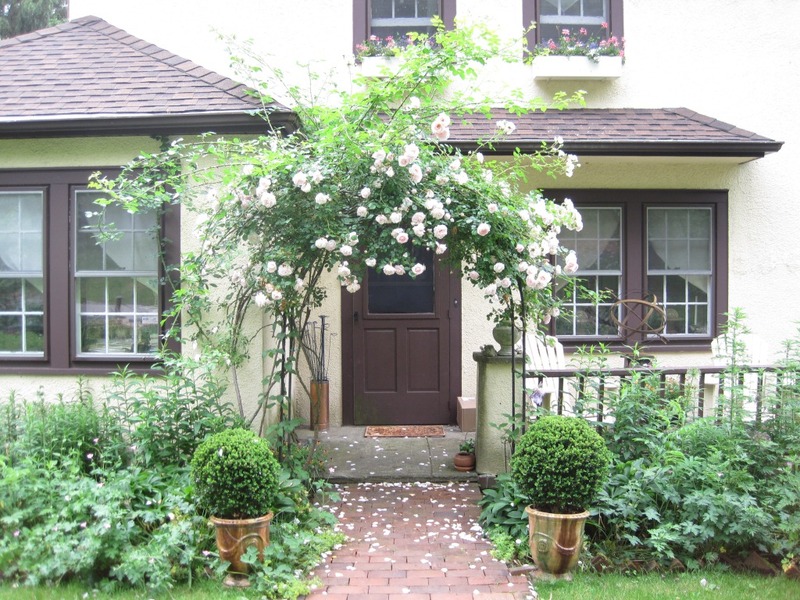 The ugly hedge might not require replacing – a proper trimming could be all that needs doing. 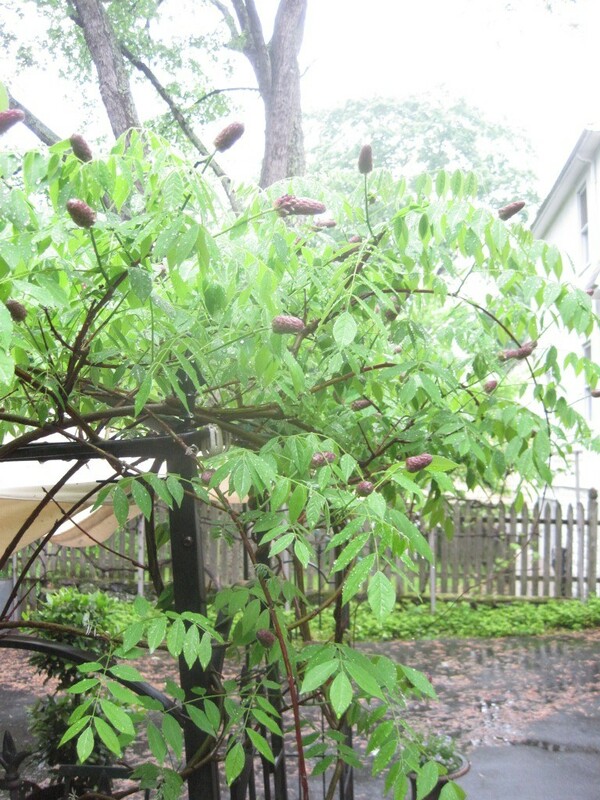 On the other hand, a sickly tree ought to be removed before it topples over and causes damage. It is a good idea to look at the front area at different times of day and keep in mind the different seasons. Perhaps over the years, as surrounding trees and shrubs grew, what was once a sunny area is now shady and the plants are no longer thriving. Time to replace the plantings with those more suitable. Similarly, if trees were lost due to age or storms, a shady area is now more exposed to the sun. While it might feel a bit daunting to rethink a whole area, these are actually the ‘perks’ of a gardening life. Something to challenge us, shake uu out of our humdrum ways. If you really are at a loss on how to go about making big changes, ask fellow gardeners or even get a garden designer’s advice. 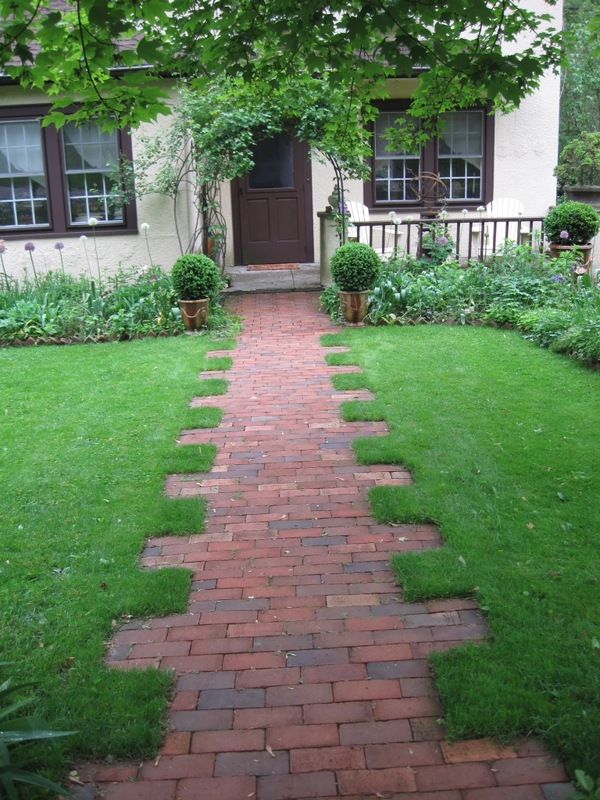 Assuming the exterior of your house is in good shape, lets start on the area that leads one up to it. Literally. How does the walkway to the house look? Does it need repair, repaving or replacing? You are going for attractive but sensible. Paved pebbled or gravel paths are not kind to feet ( especially when in high heels) and the former can get slippery when wet or iced over. Too narrow or too wide might need some correction. 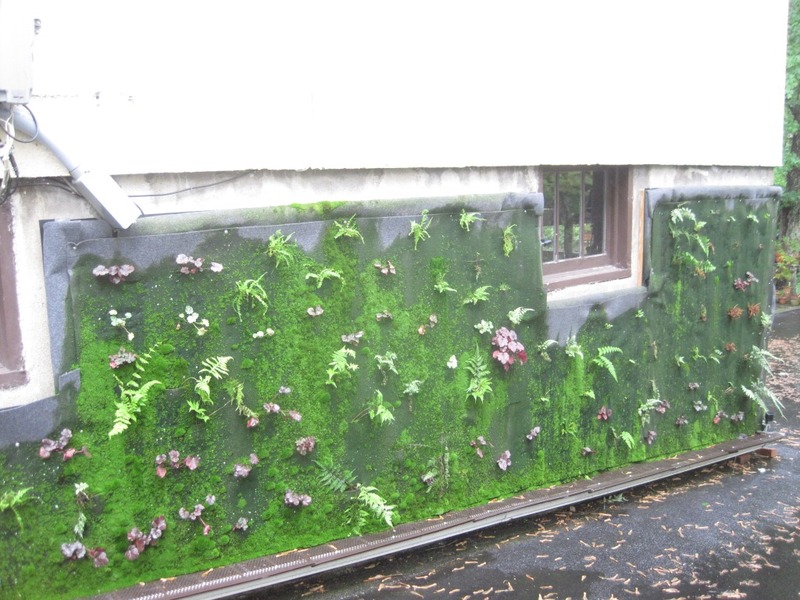 Likewise, look at other hardscaping such as walls. They should be in good repair and preferably softened with greenery. Remember, you are going for an appearance that appeals to others but must primarily make you very pleased to see your home every single time. Look at matters of practical maintenance. 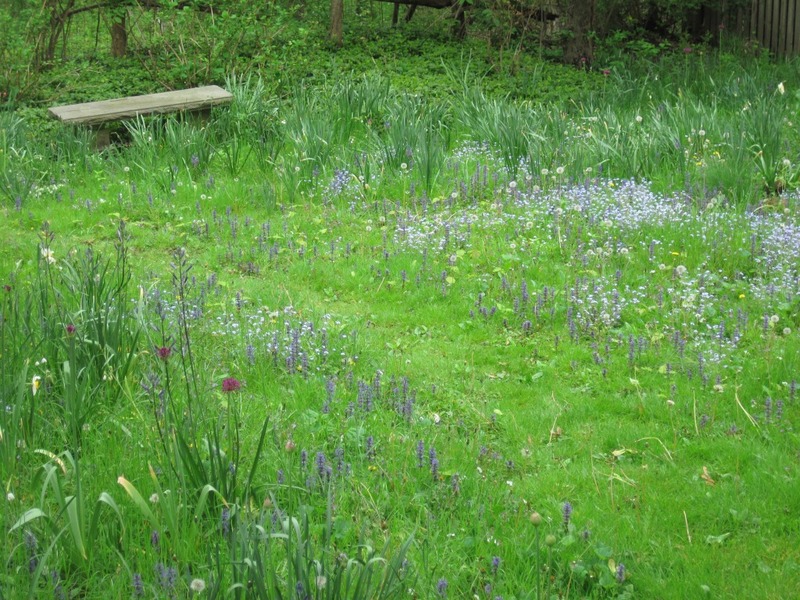 Is the front garden easy enough to keep routinely tidy? Watering should be convenient. 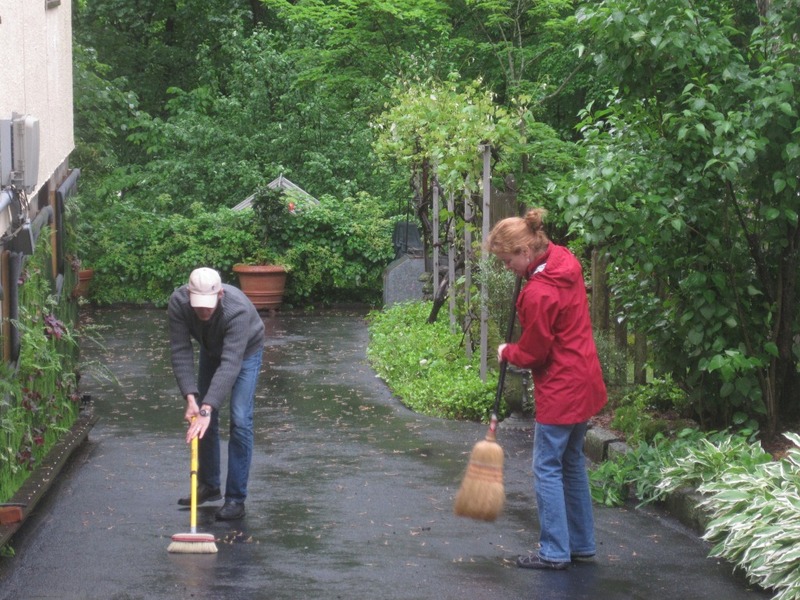 All parts of the area should be accessible for cleaning, weeding, pruning etc., Otherwise, it’ll be prone to neglect. Check the boundaries. In a formal set up, these delineations are attractive elements themselves. 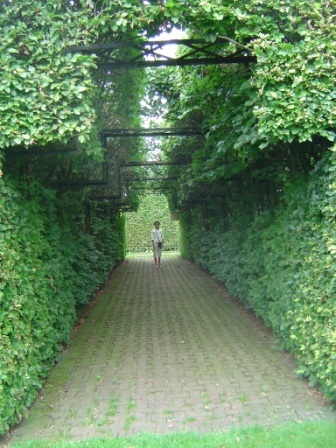 Hedges are kept very neat and clipped. 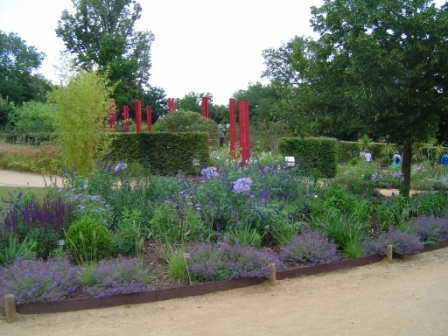 In less formal gardens, the boundaries can be blurred with some creative planting. 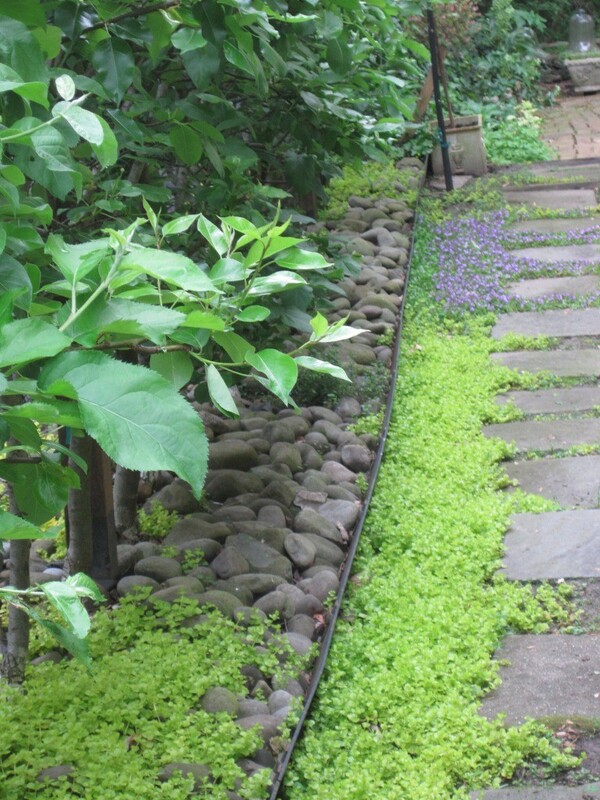 Stone walls are lovely but need the hardness reduced with plants that either front them or scramble on them. Likewise, other types of fences must serve the dual purposes of marking off the property as well as participating in the general garden design.In any case, some thought needs to be put in. Lighting is an item that is often overlooked. If your walkway is long, a single light by the front door is inadequate. Think of additional sources of light for the dark hours but keep them discrete. Also, if there is a beautiful specimen tree or special sculpture, you might want to highlight it with a bit of muted illumination. Be sure none of the lights shine into neighboring homes. If you have the means, redesign your space so parked cars are not the most visible items seen when viewing your home from the front. Don’t overlook what is known as ‘front door impact’. Plants that are striking such as topiaries or standards. Large pots with interesting, exuberant plants. Something that says one has arrived at a special place and can anticipate more of the same beyond the front door. 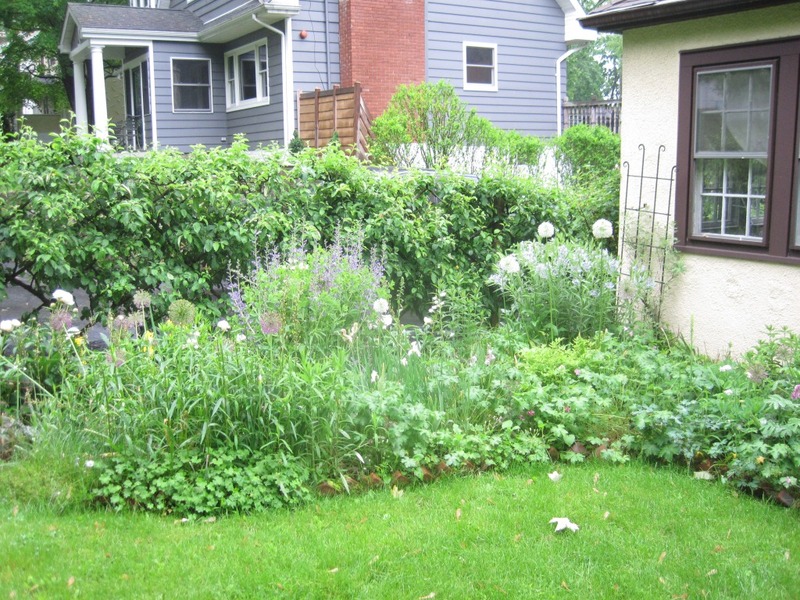 Finally, we approach the most fun part of the garden – the plantings. 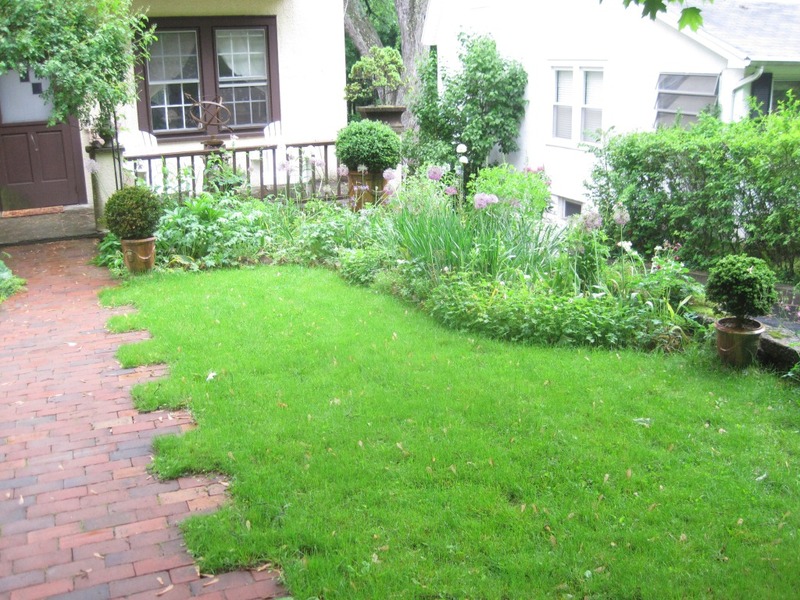 If all there exists is an expanse of lawn and some foundation plantings, you can do much better than that! 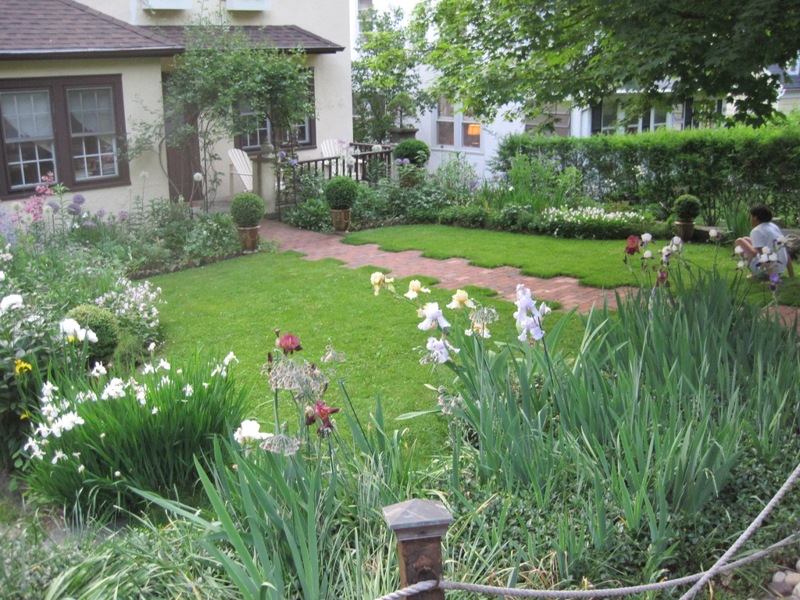 Unless huge lawns are required for regular rounds of croquet, they ought to be reduced and made more interesting by creating additional flower beds or planting attractive small or mid-size trees. 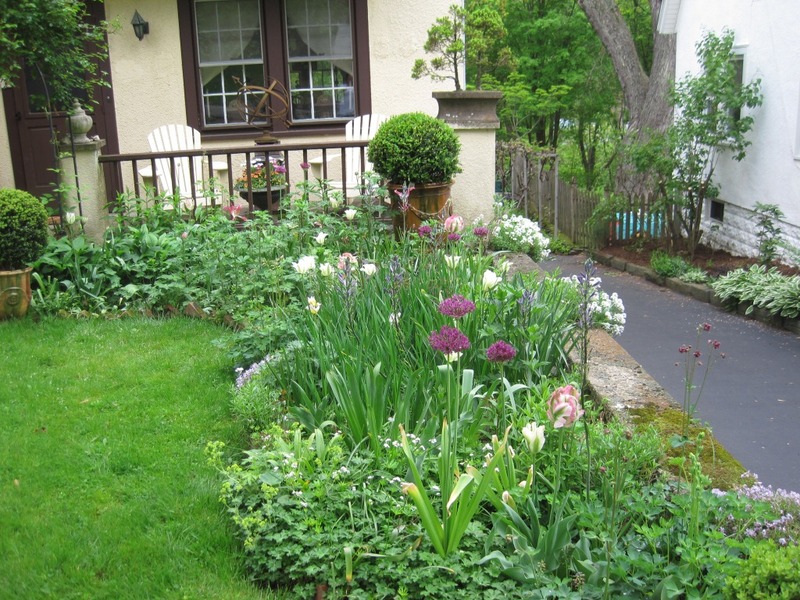 Beef up the foundation plantings with plants that provide color, cheer and visual interest through the seasons. Have fun with your choices and select what you personally enjoy. The garden should say something about you remember? 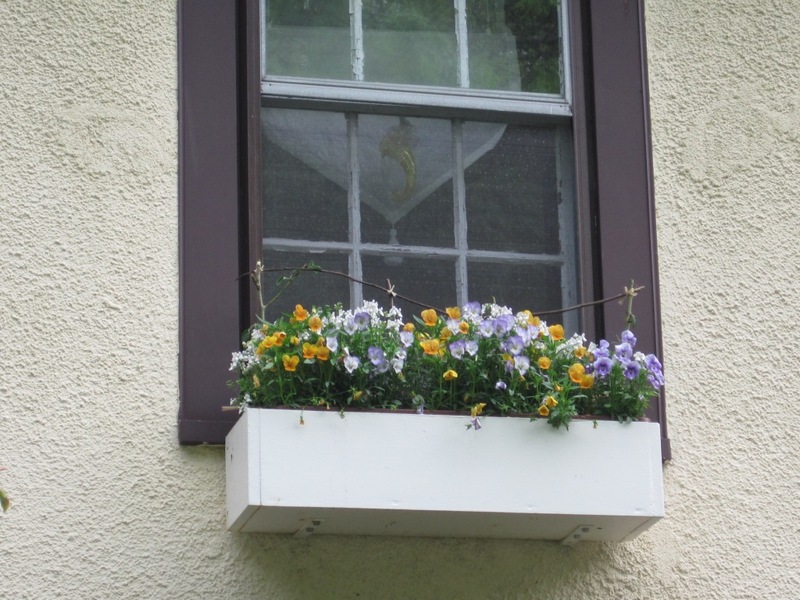 If you wish, extend the garden right up to the house with creative combinations of plants in hanging pots or window boxes. 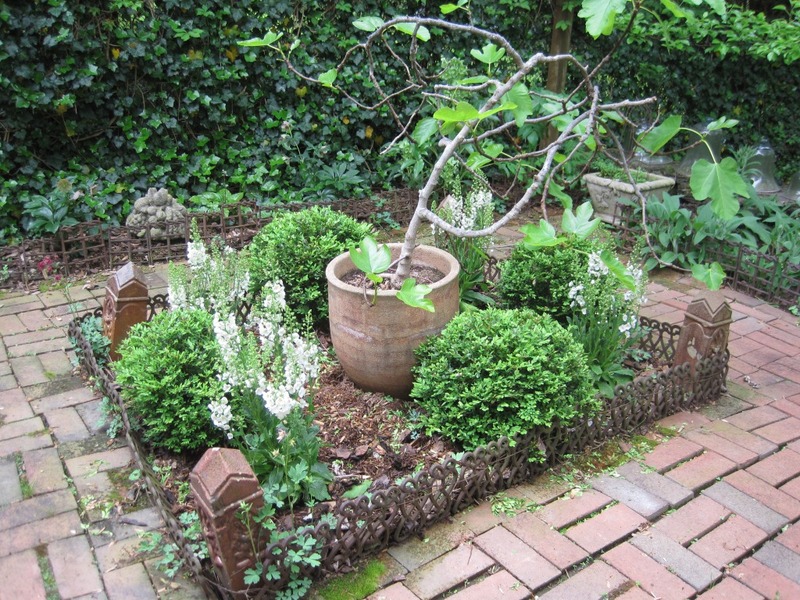 Add drama at the gate or entrance to the walkway with a collection of pots ( larger the better). Think outside the box and change ho-hum to oh! My! In my case, I want my front garden to say open, friendly, optimistic, creative, interesting and thoughtful people live here. Rather ambitious you say? That’s where the optimism helps.What do you want your front garden to say? Note: You have the opportunity to see if I’ve succeeded in my mission by coming to my garden on Open Garden Day this Saturday May 25. Click on ‘Happenings’ page to get details. I am all for democracy. I support peaceful efforts to achieve it in other parts of the world. I take my right to vote very seriously. That we each have equal rights and are to be treated as such has my wholehearted endorsement. I believe every living creature deserves respect and kindness. Heck, I could be the poster child for democracy. Except in my garden. It has occurred to me that in the confines of my little garden, democracy does not exist. Autocracy rules. I assume complete authority. It is rather scary how closely my behavior in the garden resembles descriptions of Mussolini , Quaddafi and others. Please tell me I’m not alone in this personality transformation! I happily discriminate amongst the plants. Selecting only certain ones and dismissing others as weak or unimpressive. I’m even known to cruelly put down specific plants. 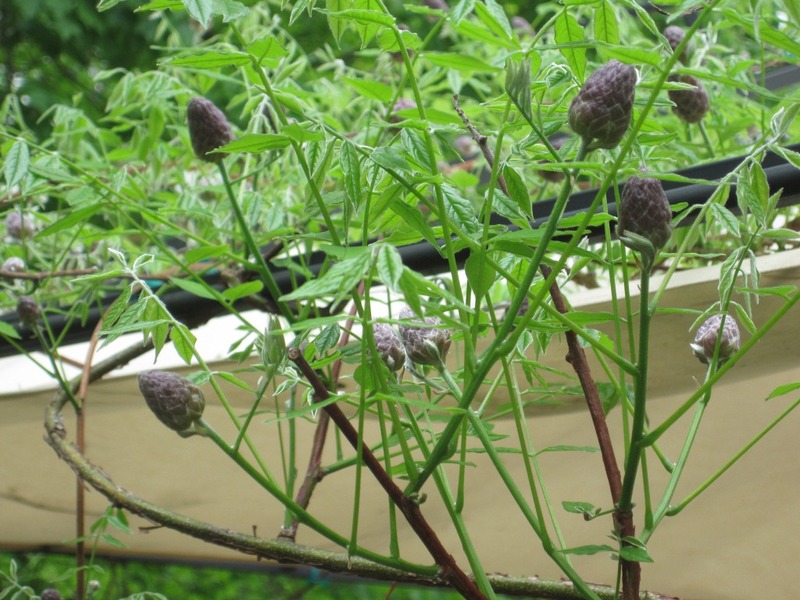 Plants that do not perform as expected are ruthlessly eliminated. My vision is the only vision. 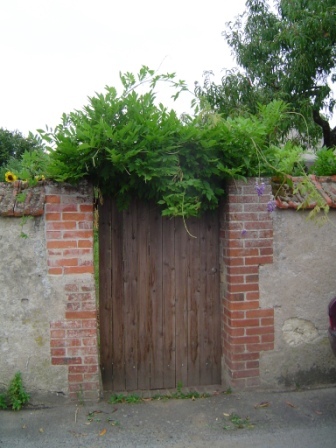 If a plant attempts to change the design by creeping into forbidden places then off with its head! Barricades are placed to deter just such dissension or defection. When anybody admires the garden, I take all the credit with no consideration to the contributions of my hardworking botanical subjects. I aim for absolute control and expect total obedience. Dissenters are not treated well. At all. Any of the above sound familiar? I was shocked when I realized this about myself. Pushy, bossy, aggressive are traits I have confessed to. But autocratic? Would never have thought myself capable of it. Yet, where is my shame or guilt? I worry that this says something about what each of us is capable of when the right ( okay, wrong) circumstances come along. It bears some close examination. But then, how else can one create a garden? 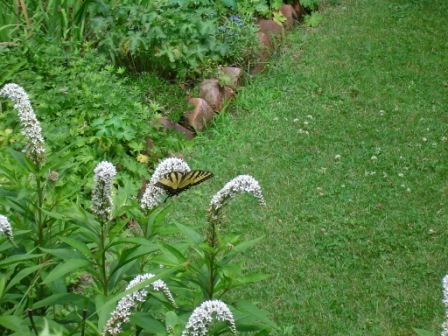 The very idea of a garden opposes the wild behavior of plants. We attempt to tame nature.In a way, it mimics what humans do to ourselves. We attempt to be civilized instead of giving in to baser tendencies. And it is hard to do without being minded. We’ve even put in place policing agencies. The fact is, without the watchful eyes of others in society many would disregard what is good for the whole and simply do as they please for themselves. Mayhem and murder would ensue. I suppose then, it comes down to how we govern ourselves. Democracy, communism, dictatorship, military rule, monarchy – the world is still working it all out. So, back to the garden. Looking at the big picture, I no longer feel alarmed about my authoritative influence. I think I’m really a benevolent parent. Strict, demanding the best, willing to express tough love but at the same time guiding the plants to realize their highest potential. Yes, that’s more like it. I can live with that. It is all in the perspective one chooses to employ. 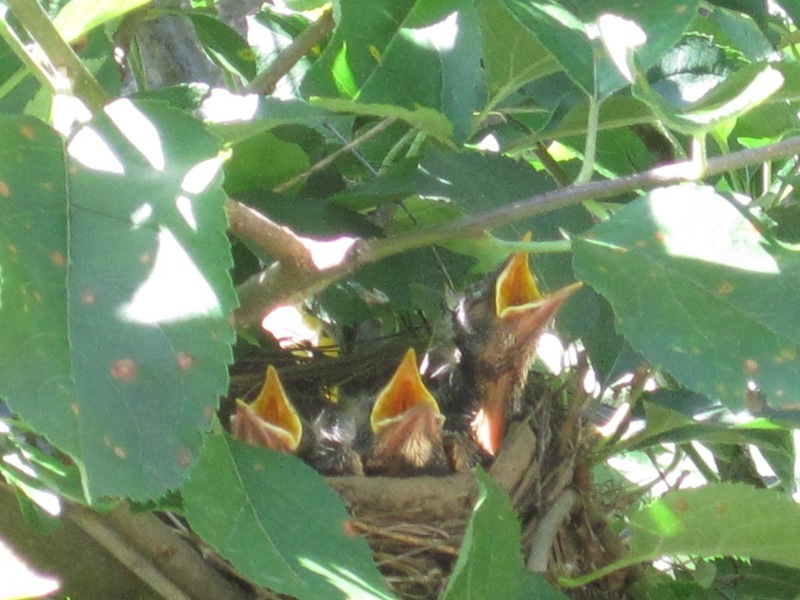 So, what rule exists in your garden – parental, anarchy, democracy, oligarchy or dictatorship? Creeping Jenny and mazus compete to take over the path. Forget-me-nots that self-seed with no restraint. 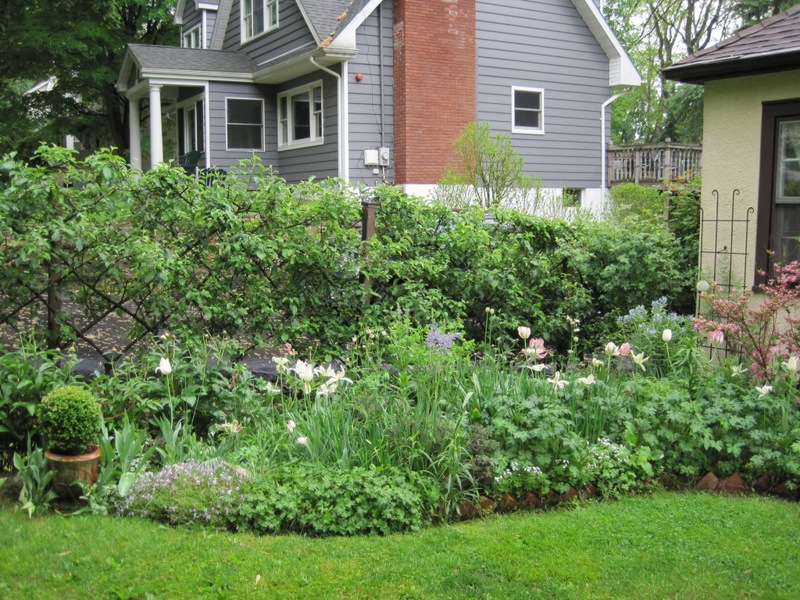 Don’t forget that my garden is open this May 25! Check ‘Happenings’ page for details. I’m knee deep in compost and soil as the pressure is on to get the garden ready for my Open Day on Saturday May 25 ( mark your calenerds please). So this week, I’m offering some food for thought by way of a short poem and approprite images.Enjoy. And then there are fences and hedges. Is this all about control? Is taming nature the work of fools?